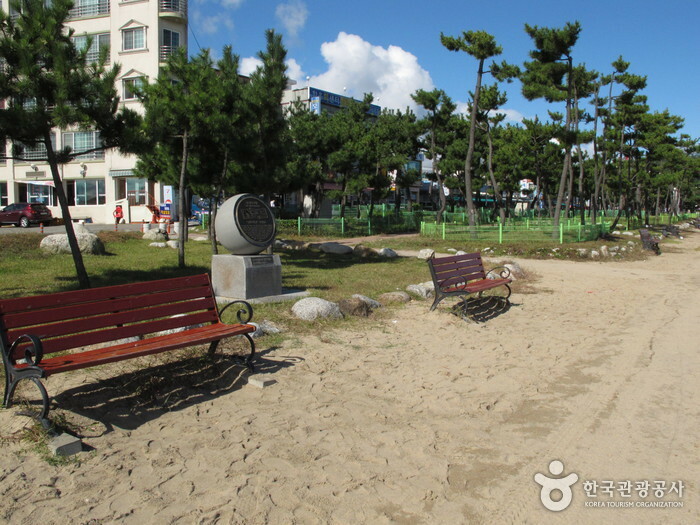 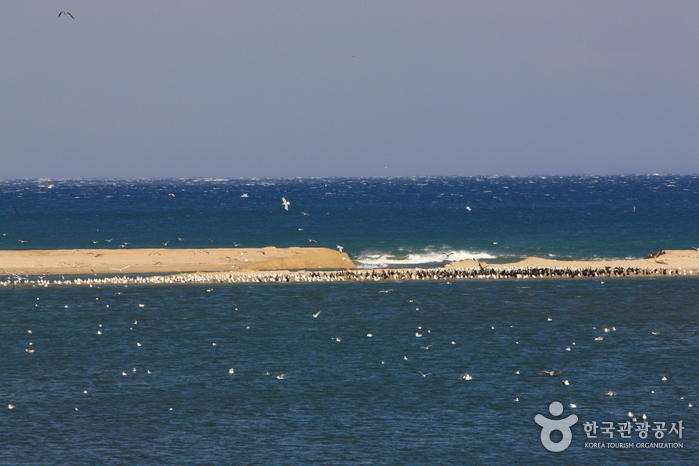 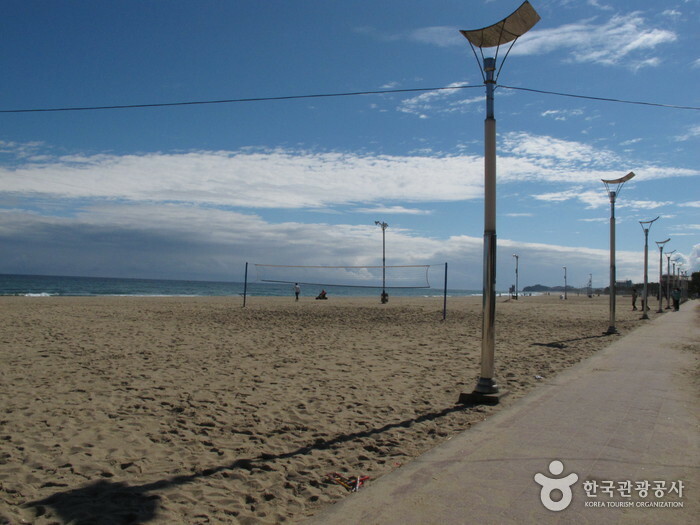 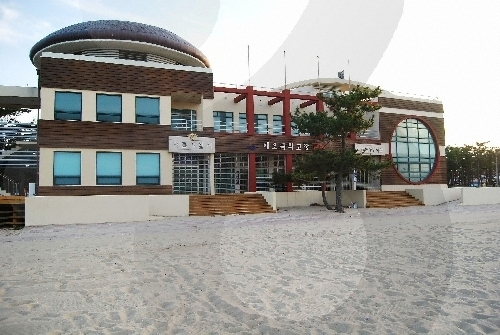 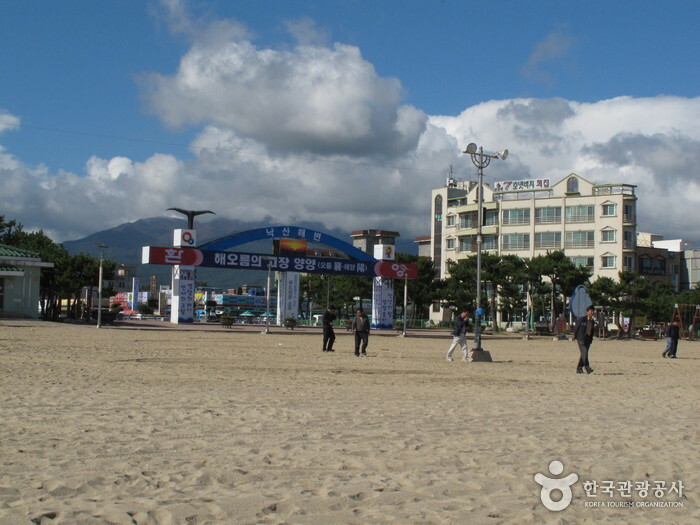 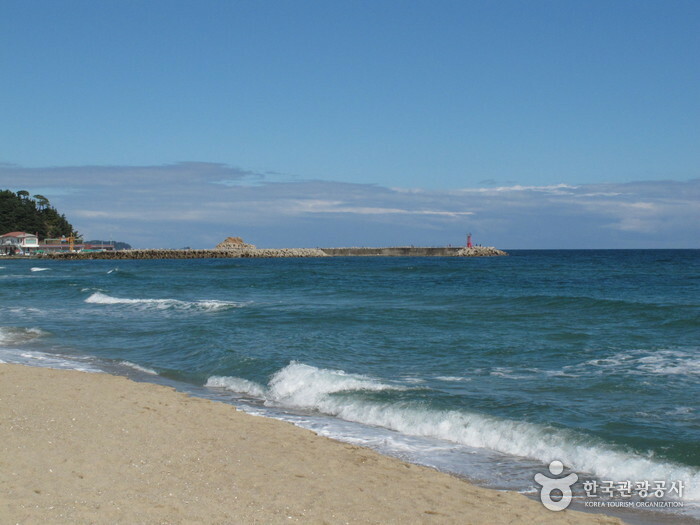 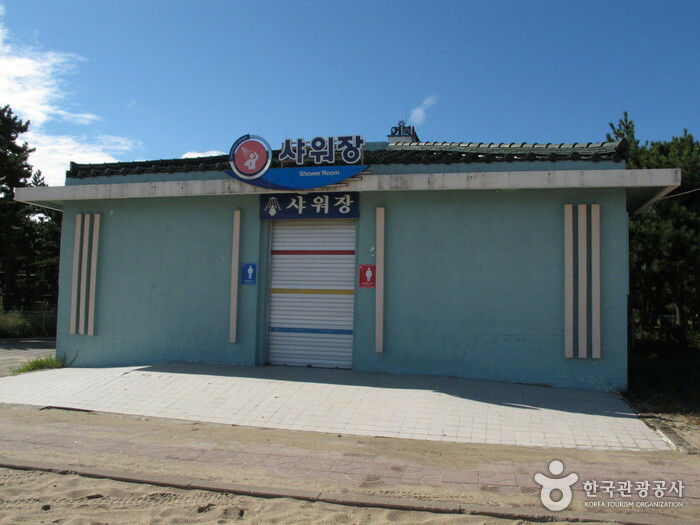 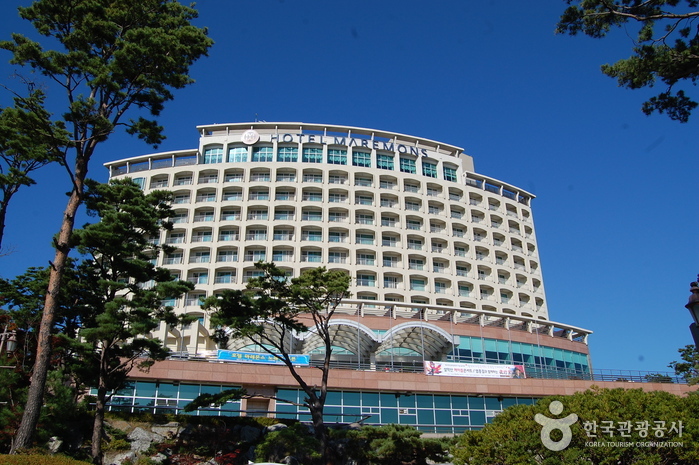 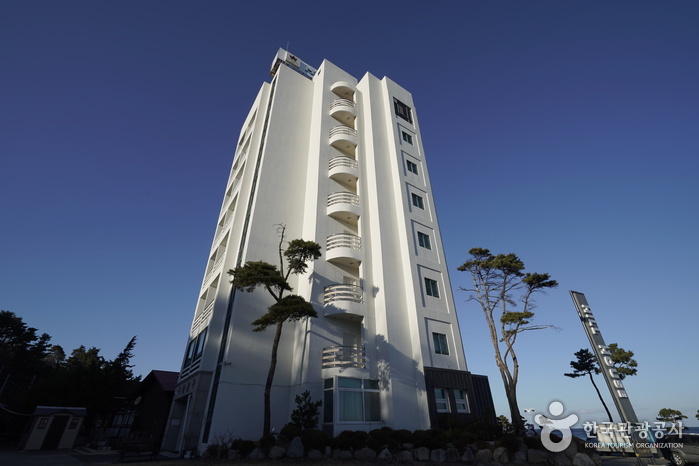 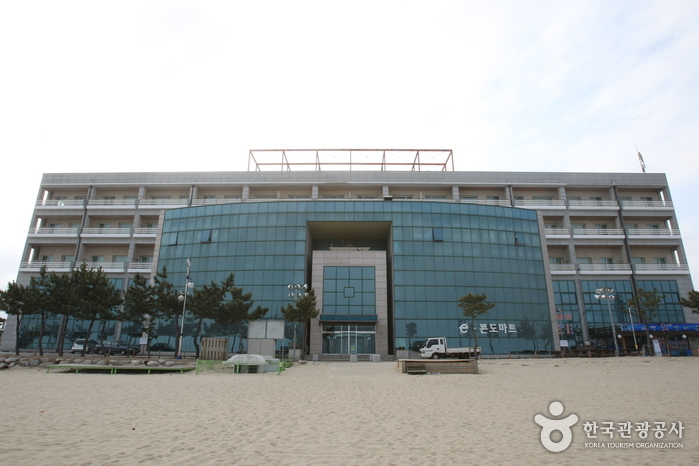 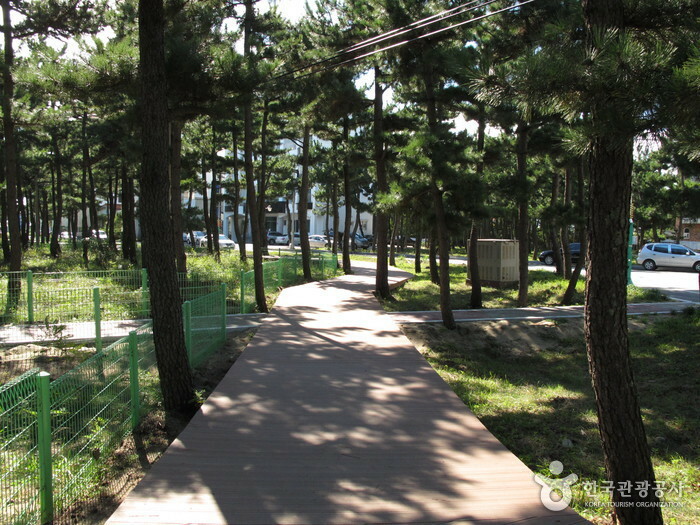 Since its opening in 1963, Naksan Beach has continued to be visited by a great number of people every summer. 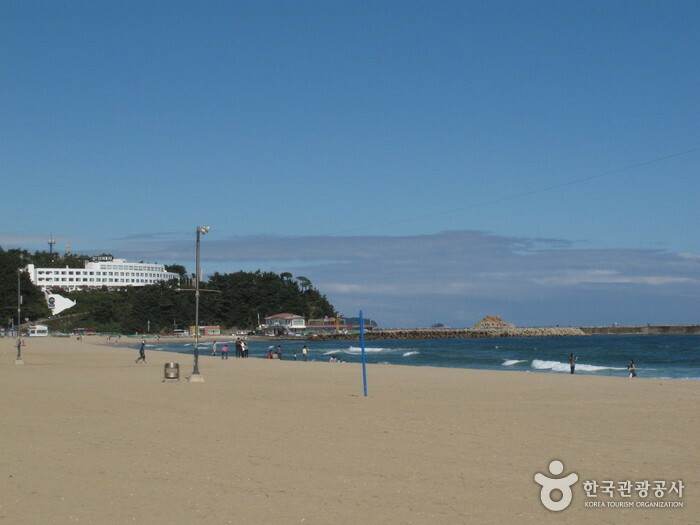 Vacationers enjoy the dense pine tree forest lining the beach, the 4 km-long stretch of white sands, and shallow waters that are perfect beginning swimmers and young children. 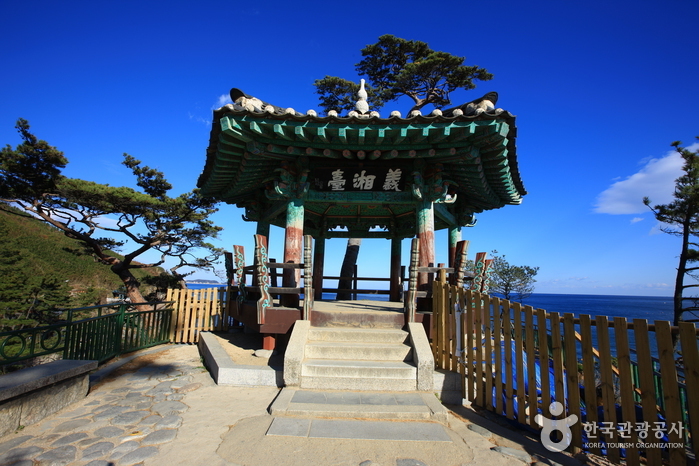 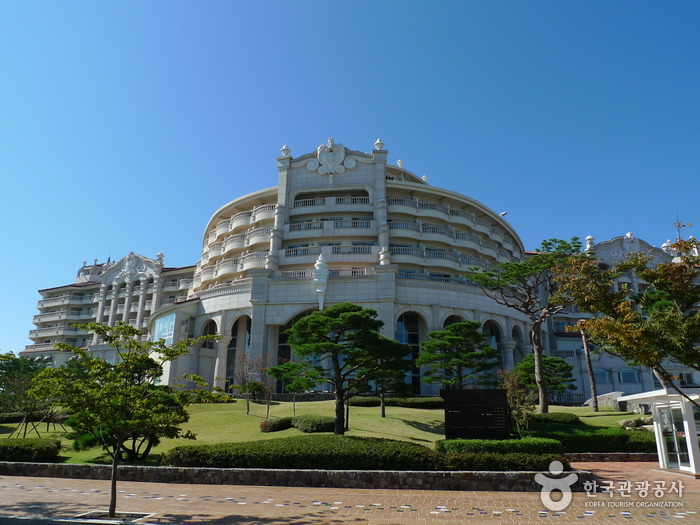 Nearby attractions include Naksansa Temple, one of the eight beautiful sights of the Gwandong area, and Uisangdae Pavilion, perfect for watching the sunrise. 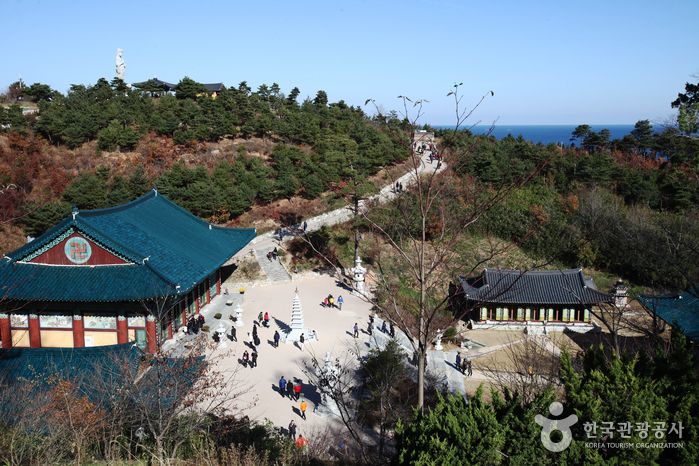 The beautiful seasonal changes of Seoraksan Mountain can be witnessed in just 10 min. 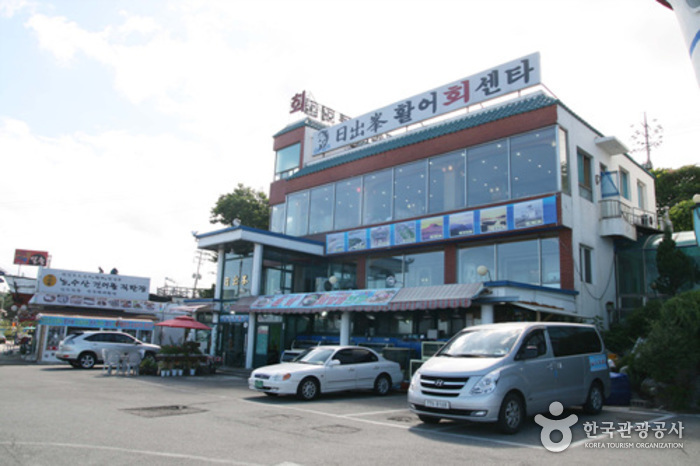 by car, and one can taste delicious, fresh seafood at Jeonjinhang, only a 5 min. 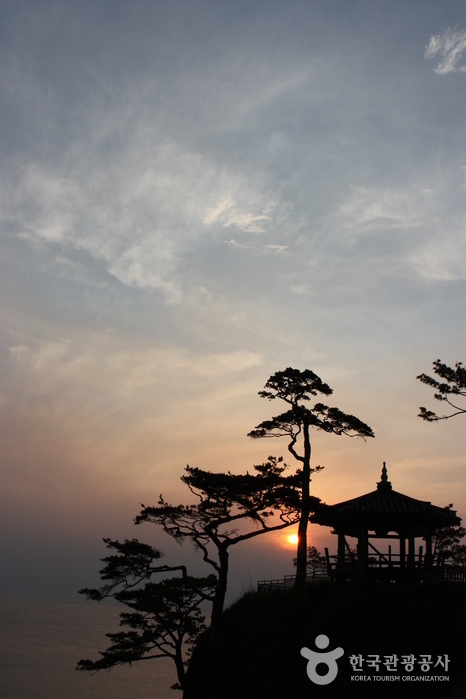 car ride away. 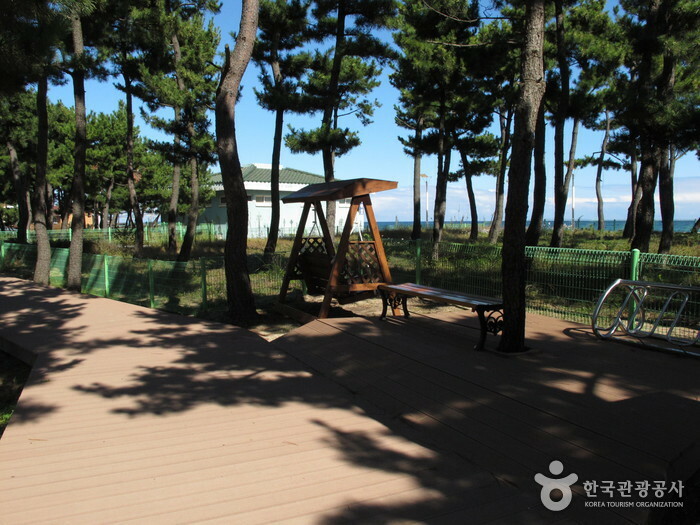 Camp sites, 14 Changing rooms, 6 Shower facilities, toilets, etc. 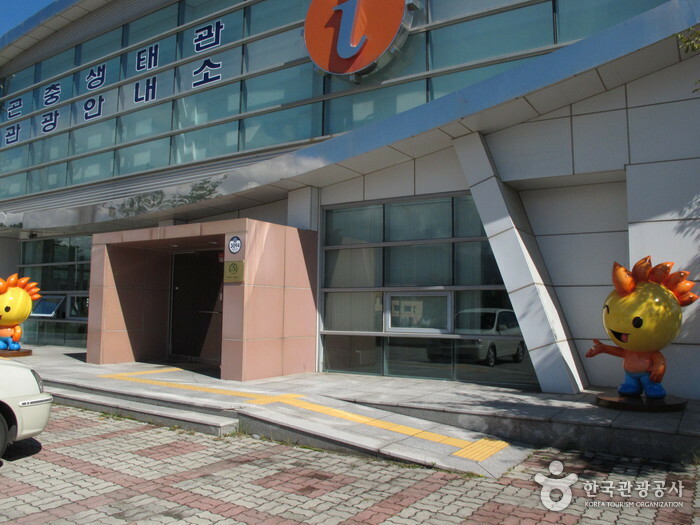 Take a bus from Dong Seoul Bus Terminal to Naksan. 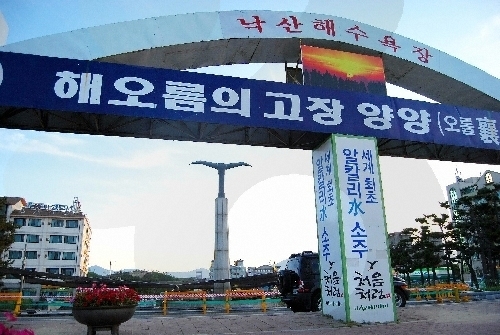 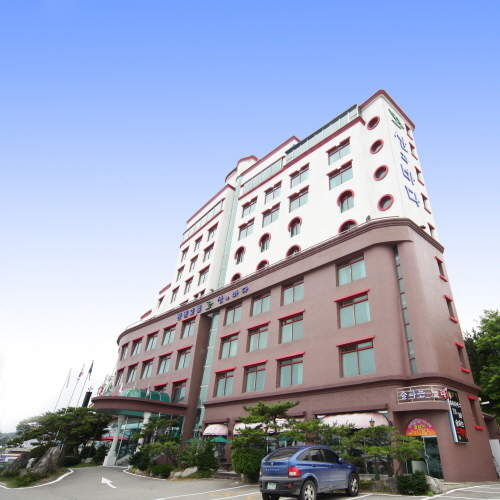 From Naksan Intercity Bus Terminal, turn right and cross the road at the main intersection (도립공원삼거리). 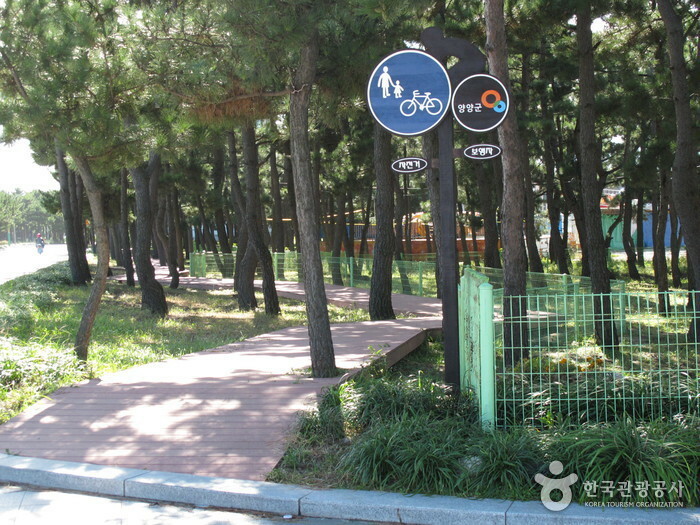 Continue straight towards Naksan Beach (about 5 min).